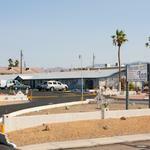 We've made it easy for you to find and book your Lake Havasu City accommodations. 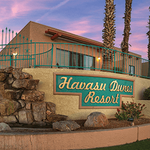 Choose from hotels with sweeping views of sparkling Lake Havasu, laid-back lakeside resorts , affordable family-friendly motels and more. 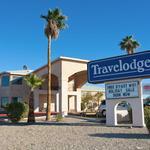 No problem bringing a furry friend--many Lake Havasu City hotels and motels offer pet-friendly lodging. Best of all, vacations in Arizona's Playground are always on the affordable side so you can stay and play longer! 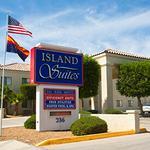 Browse our complete list of Lake Havasu City hotels, motels and suites, or use our handy search tool to help you find the best options for you and your travel party. Just seconds away from the lake. Rates start as low as $70 with daily walk in specials. Amenities include an outdoor heated pool, free internet, cable TV and gorgeous room views of the lake, London Bridge, and the desert. Pet friendly and close to restaurants, shopping, night life and the London Bridge. 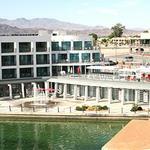 Enjoy a free continental breakfast, free WiFi, boat parking, guest laundry and heated outdoor pool and spa. 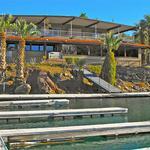 Extended Stay and Jet Ski packages are available. Traveling for business or pleasure, the Hampton Inn offers a unique lodging experience with plush amenities and clean, fresh comfort. It is only steps away from the lake, the world famous London Bridge, shopping venues and restaurants. A cozy and budget friendly property with all the modern conveniences including kitchenettes, internet access and on site laundry. Renovated in 2014, this 100% smoke free property includes high speed internet, 39" flat screen TVs with HD satellite programming, microwave, refrigerator and coffee maker. 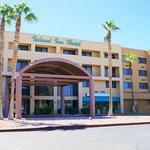 Enjoy hot continental breakfast, indoor Jacuzzi, lake view rooms and boat parking. 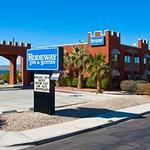 The new Holiday Inn Express & Suites Lake Havasu, located next to the famous London Bridge, is just steps from all the city hot spots. Guests enjoy complimentary hot breakfast, Wi-Fi and contemporary guest rooms all equipped with mini refrigerators and microwaves. Enjoy scenic views of the lake from most of the rooms and relax in the heated pool and Jacuzzi after a long day on the lake or shopping. Meeting rooms, a beautiful gazebo on a private beach available for weddings and friendly service make this a one stop hotel. Completely furnished, spacious efficiency units with king size beds in every suite! 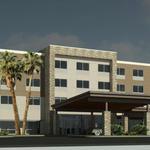 Newly renovated rooms available mid-November. The heated pool and spa are a treat after a long day on the lake. 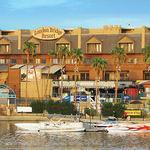 Free high speed internet access and worry free secured boat parking are also available. 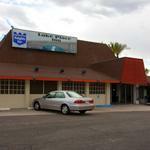 Conveniently located within walking distance to many area restaurants and shopping. All rooms come with either one king bed or two queen beds. 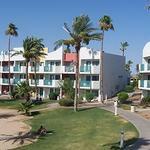 Amenities include a large outdoor pool, cable TV with HBO and free WiFi internet. 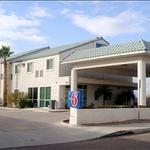 Motel 6 claims the lowest prices of any national chain. The hotel has free WiFi and is pet friendly. It is conveniently located close to London Bridge, launch ramps, beaches, restaurants and shopping. Full service hotel where guests can enjoy the convenience of the on-site restaurant and lounge, relax in the heated outdoor swimming pool and wake up with in-room coffee and a complimentary hot breakfast buffet. Attractive, newly renovated accommodations at a great price. This non-smoking property offers a quiet atmosphere, spacious, clean rooms, balconies, indoor pool and spa, free high speed internet, in room coffee, guest laundry and continental breakfast. 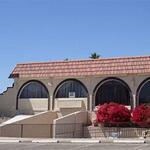 Located downtown and conveniently close to restaurants and shopping. 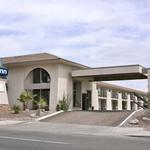 The Super 8 Motel is conveniently located close to London Bridge, the lake, launch ramps and restaurants. 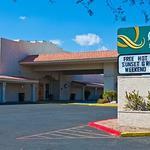 Amenities include free continental breakfast, free high speed internet, pool, spa, and 24 hour desk clerk. 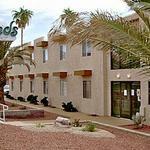 Amenities include free WiFi, cable TV, kitchenettes, and suites. 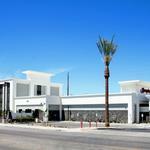 Conveniently located close to restaurants, shopping, night life and entertainment. Call for pet policy. Windsor Inn is close to the lake, London Bridge and launch ramp. Comfortably appointed clean rooms will fit your needs and budget. 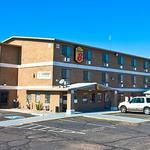 Amenities include complimentary breakfast, free WiFi, microwave, refrigerator, pool, and hot tub.